I stumbled across some ingenious ways to make money online, and this is another one. Yes, this post gives some ideas for you on how to make money with online classifieds. Just think about few years back! The primary modes of advertising were through magazines and newspaper. But the technology has progressed a lot specifically in the field of internet and web advertising have turned an efficient marketing strategy. Even though there are thousands of ways exist to advertise nowadays, publicity in the form of online classified websites is getting prevalent among the business as it has proven to be more successful than traditional advertising in Newspapers and magazines. Free classifieds sites take less time to post the ads and remove/renew ad process is quite straightforward. Most of the online classified sites allows people to post their ads for free or at an affordable price. Out of all, reaching global audience requires the minimal effort to produce a quick result is a notable benefit of classified websites, and thus business people have started to utilize it effectively. As the classified websites are being used effectually by most of the people for both selling and buying process, some people want to have their own classified site where others are looking for some genuine ways to earn income with it. I hope that this post would help you to make some dough with classified websites and now let’s get into the topic. Check some genuine ideas to make money with classified websites now! You can start your classified sites for free to make money with it. Make use of site like open-classifieds.com, which is a free open source script for you to build a classified website for free. No technical knowledge is needed to install this software but be sure to get a good web hosting & domain to start your free classified site. Determine the categories on which you want to focus on your classified website and add them. Start promoting it through social networks and once you’ve began to drive visitors to your created website, add various monetization methods like featured ads, advertising banners, affiliate links, premium membership and so on. Effective marketing strategy is required to make real money with classified websites. Adding useful content would help you to popularize your website and then start adding listings to it. Expecting customers to pile up to your classified site would be unwise, and it would be good to research & invest in new technologies to get more visitors. If you are a merchant who has products to sell online, you no longer need a store or rely on online auctions websites. Instead, you could make use of online classifieds to reach a wider audience and to get unlimited sales. Also, you need not be an expertise to use the classified websites as they are designed for your convenience with a user-friendly interface. You can post the details of your product to sell at free of cost/cheap, and it is open for global people. You could also upload pictures/banner of your items to sell, and it would attract the visitors. Since your ad is visible all over the day to universal people, it is possible for you could get loyal customers for your products to sell even if you sleep. Besides, you could manage/review your online ads quickly. Selling products through classifieds sites is an extremely convenient way and here are some tips to post your online classified ads to your products. Post your ads during weekends because most of the people search their desired products to buy when they have holidays on weekends. Picking up the exact category for your products to sell is most important to get targeted buyers. Describe your products well by adding an attractive description, striking picture and add your contact details. Fix a realistic price for your product and precisely specify the mode of payment. Ad posting job is the easiest way to make money online. Many individuals and companies want to promote their business and hence they are ready to pay you to post their ads on free classified websites. To create backlinks, some bloggers/webmasters are interested to give a fee for you to post their website details over there. Moreover, individual ad posting companies would give you the pre-written ads to post, and you have to just copy & paste those ads into online classifieds. Just you have to find some genuine place to work and earn by posting ads on free classifieds sites. The internet has thousands of referral programs to join where you have to get a lot of referrals to the essential businesses. You need to do an active promotion process to get new people and earn money with it. Even, though, making use of social networks, blogs, and email marketing are some the traditional promotion methods, you could take advantage of free classified websites to generate more referrals to your network. As classified websites have the ability to drive more people to any business, you may promote your referral programs with enough details. Some classifieds have banned adding the referral links and thus choose authentic classifieds which allows adding your referral link in the description. The internet has considerably changed our lives and possibility of making huge income is one of the finest things with it. Besides, online classifieds are getting popular as it offers affordable advertising to any business. Online ads play a crucial role to reach the potential customers quickly and, therefore, the free online classifieds like OLX have millions of unique visitors globally every month. You don’t need to invest much to make money on the classified websites, and I hope my listed ideas would help you to use online classifieds in profitable ways. What do you say about these ideas to make money with online classified sites? 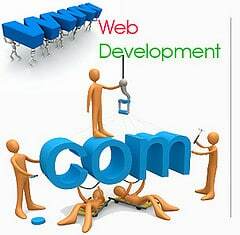 Do you desire to have your classified websites? Or do you wish to sell your product/service through free classified sites? Let me know your opinions through comment. 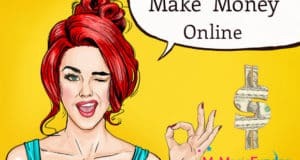 How To Make Money Online In 2018? Being in Internet marketing from past 4 years, I tried many money making ways and also got good results but never thought to make money with classifieds too. SEO marketers use classified sites to promote their products and this is the way they make money by selling them. Thanks for sharing your insight upon it. I tried with ad posting jobs and it earning was quite good. But I am not doing it now because of time limitation. Thanks for sharing your views bro and also I should thank you for editing the image for this post in a nice manner. 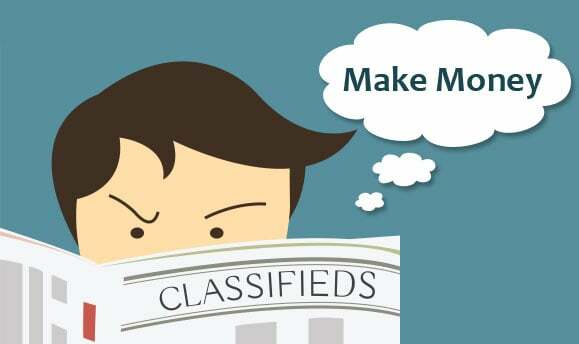 I don’t have previous experience in creating a classified website with openclassifieds script, just showed a way to earn money with classifieds for my readers. Thanks for sharing amazing article.. Classified sites are always help to get backlink and instant traffic for blogger and For business person they are very helpful for buying and selling products online. thanks for sharing amazing article. Hi Nirmala! Making money with classified doesn’t mean only make money by creating classified website. It also mean to make money using classified advertising. Today tons of free classified site available to advertise your products where you can advertise online free of cost. That means you can promote any kind of product online free. Using this concept, you can make more money with your existing money making program. Just advertise your program on free classified site to attract more customer. If you have a coffee shop, you can attract more customer by placing free local classified ads. I agree with your money making concept in classieds Majharul. I hope your idea will be useful for my readers to advertise their products at free of cost over there. Making money through classified websites is really unique way. This is first time i heard about making some bucks through classifieds. I just know about getting some traffic from this sites. Good to read something unique and informative. Thank you for sharing this information with us. I am newbie and found that classified can generate money for us. wow… thanks for sharing such kind of information. Thank You! It’s very useful to me as i’m still in the middle of something and finding solutions to it. Cheers that you’ve found this post useful and thanks for correcting my mistake, will change it now. It seems great, Online classifieds are the best way to promote your online business. It is also a best way to drive a traffic. You idea to create online classified business is a great but there are already well established players out there. I think #2 and #3 seems better that #1. I accept your point of view that there are big players over there. But if we could try, there would be a chance to beat them. It is one another great news by you. i never think that we can earn some money from online classifieds too . actually a my facebook friend was told me little and very half knowledge about it but that time don’t mind his story but after read your post i learnt complete and deeply knowledge about it .. It is good to hear that you’ve gained knowledge through my post Siddharth Sharma and I wish to earn more with the listed ideas. Classified is now a leading trends to earn money. It provide a great opportunity to share the product with other person without including any third person between buyer and seller. One just need to design their classifieds site very smartly , if it is design smartly half work is done. Thanks for sharing this Nirmala Di. Yet another awesome post, This method to earning money from classified websites is really cool and I’m gonna surely try it out. This is really very unique Idea of making money online. Thanks for sharing your views on it. I think I will try it. Ravi here . As a SEO consultant I have been passing this idea of making money albeit with a small twist to many webmasters and also to freelancing lot who keep calling me to guide them to a genuine online job. I have always suggested that if any youngster has a saved little bit of money then he or she should opt for a classified (here comes the twist) and attach a Blog to it! Once the site develops a decent traffic then go for the Monetization using Adsense or similar program! Don’t forget to keep updating the Blog on regular intervals to maintain an optimum content quality which is required to run Content based Advertising such as Adsense & also the blog compensates for the almost non existent quality content intrinsic to Classified Sites. Hope some of your readers will make use of the idea to take their Online Earning up by a notch. I may also add that the start up cost is quite low & rewards in long run will be quite good if one is willing to work on it a bit! Thanks for sharing great article about making money through online classifieds websites. This is very useful information for online review readers. Keep it up such a nice posting like this. Classifieds are great ways to buy and sell stuffs. I have sold few of my old phones from quikr few days ago and believe me it was a nice experience for me. Thanks for the nice post. I started to experiment on classified blogs, i hope i can succeed in this thing. Thanks Nirmala for sharing such a good idea. Classified sites can be good source to earn money. I will try if get some time. Its good to read article like this. I have launched classifieds site 2 months before and I am getting good response for my site. My site is globalclassifieds.in, as you have said in your article promoting is a real time job. Getting users into the site is as huge job. Hope you can give me some idea to get realtime users to my site. How can i do that, other than social networking sites. I never thought that we can earn money with online classified. I thought we can earn money with Google Adsense or affiliate marketing but this is also a good way to earn money. I visit this site. i like this idea.Thanks Nirmala for sharing such a good idea. Classified sites can be good source to earn money. I will try if get some time. Nice article but now WordPress too offers great management in Classified Portals. lots of Premium Complete one install Attractive WordPress Classified themes are available and can be used in a mere price ranging from $40 to $50. Themeforest market is flooded with such kind of themes.. Thanks for sharing your knowledge on creating classifieds, Rana Waqas. Thanks for letting us know about Themeforest market. Keep coming!